As the new 12.9-inch iPad Pro goes on sale at Best Buy, Apple stores and Amazon, a big question looms on many minds. 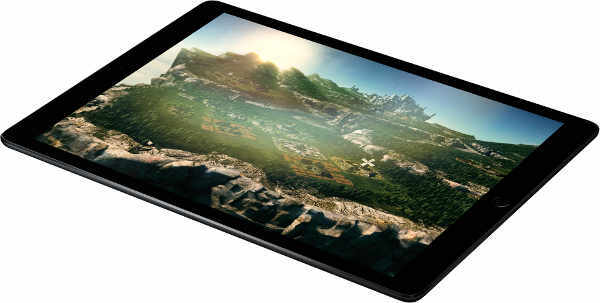 Will large screen tablets from Apple and Microsoft spur growth in the flagging tablet market? Tablets have not been on anyone’s hot, must buy list for the last couple of years. And it shows in the poor performance numbers of major tablet vendors. It’s no secret that Microsoft’s Surface tablets have been a disaster costing the company nearly a billion dollars in losses. Over the last three years, Microsoft has put out multiple versions of its Surface and Surface Pro tablet line (not including the Surface Book laptop with a detachable screen for use as a tablet). Still, Surface/Surface Pro continues to struggle and Microsoft’s share of the tablet market remains pitifully low. According to IDC’s tablet market share estimates for the third quarter of 2015, Surface was not even among the Top Five vendors and had less than 1.8% share. Apple’s iPad tablet sales have fallen for the last seven quarters. The picture is bleak for Samsung, Asus, Sony and scores of other tablet vendors too. Amidst a drought in tablet sales, comes a wave of 12-inch tablets. Apple’s iPad Pro has a 12.9 inch display while Microsoft’s Surface Pro 4 and Surface Pro 3 come in at 12.3 inches and 12 inches respectively. Samsung’s new Galaxy View tablet has a whopping 18.4 inch screen while the company’s older line of Galaxy Note Pro and Galaxy Tab Pro sport 12.2 inch screens. Asus, Sony, Dell and several other vendors also now offer tablets with displays of 12-inches or more. It’s as if tablet vendors together believe that a bigger display is the silver bullet to galvanize sales. In our view, larger screen tablets are unlikely to provide a fillip to tablet sales. Apple, Samsung, Sony and others are chasing a chimera with their large screen tablets. Tablet vendors seeking to drive growth face multiple problems that larger displays will not fix. First, tablet owners are not in a hurry to replace their devices. Most users are content with their existing iPad or Android tablets. Our four-year-old iPad 2 is going strong and we have no plans to replace it. Second, businesses have never been a huge driver of tablet sales. Barring retail POS and a few high profile orders at airlines, tablets have not made a huge impact in the business arena. Tablets remain largely a consumer entertainment play. Third, tablet prices still remain at high levels while the cost of other consumer electronic devices like TVs have fallen sharply. A 16GB 9.7 iPad Air 2 starts at $500. The 12.9 inch iPad Pro starts at $800 (32GB model) and the 12.3 inch Surface Pro 4 at $899, both without must have accessories like the keyboard. An entry level Sony Vaio Z Canvas Windows 10 tablet will set you back $2,200. For the price of an entry level iPad Pro or a Surface Pro 4 tablet from Microsoft, you can get a 55-inch LED 3D TV from Sony or a 60-inch Vizio LED TV plus one full year of Netflix streaming. As tablet screen sizes and prices increase, consumers will likely view large screen, smart TVs as providing better entertainment and gaming value. The competition for large screen tablets will come from TV sets whose prices have been crashing. Consumers might pick a second or third or fourth LED/LCD TV for their home rather than fork out $800-$2,200 for a large screen tablet. Finally, market maturity in countries like the U.S. has also hit tablet sales. There are only so many people who can buy iPads or Samsung tablets and those who do have already purchased them. Unless there’s a miracle or a sharp price drop, pricey large screen tablets are doomed and will not boost tablet sales. Tablet sales will increasingly happen at the low end with devices like Amazon’s 7-inch $50 tablet (buy 5, get one free). Our recommendation for those in the market for premium tablets from Apple, Microsoft or Samsung is to wait for a few months for the discounts to start in full swing.